It was a real honor to be included this beautifully-designed anthology. Fifty cartoonists (including the great Lark Pien! The great Vera Brosgol! And the great Mike Mignola!) 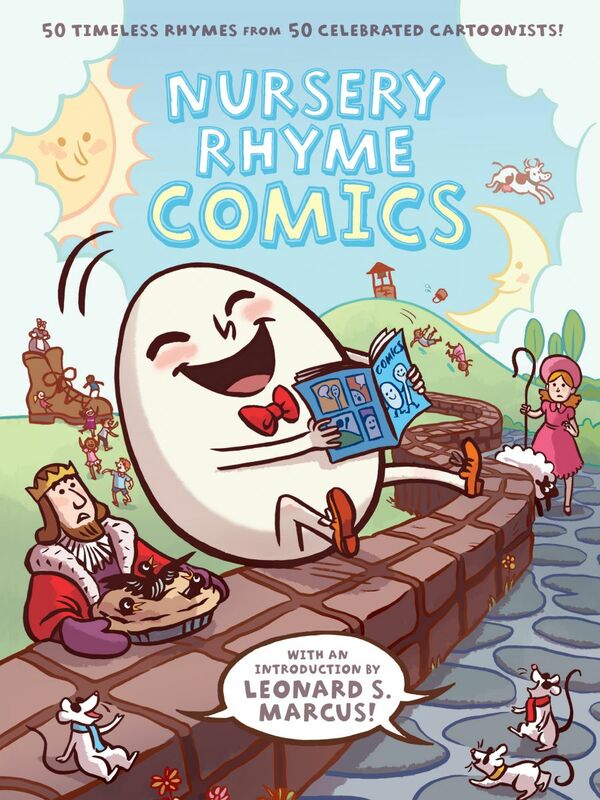 adapt fifty classic nursery rhymes. I did a space-age version of “Pat-A-Cake.” I bet you’ve never read a kids’ graphic novel like this!